Breathtaking chandelier from the Venini factory, Murano, Italy, c1940. 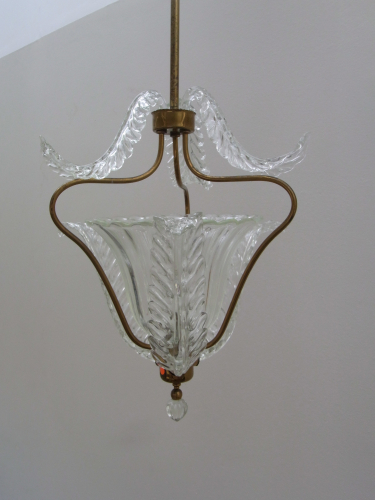 Brass stem and supporting frame holding sculpted glass leaves. Glass in perfect condition.